To inquire about booking Carey Kinsolving, please use our Contact Us form. How can grown-ups learn from children? Author/producer/columnist Carey Kinsolving has spent years asking children what they think about God. Reminiscent of Kids Say The Darndest Things (Art Linkletter, Bill Cosby), “What I’ve Learned From Kids” uses unrehearsed, unscripted video of kids talking about God. Their spontaneous, funny, touching – and often inspirational – faith expressions serve as winsome illustrations of what Jesus meant when he said we must enter his kingdom like a child. Although Art Linkletter pioneered the idea of giving real kids a voice, Carey has carried it a step further. He dared to ask kids questions about God. Their innocence, honesty and insights will delight any audience. Although Carey holds a master of divinity degree from a prestigious evangelical seminary, he never ceases to be amazed at how children seem to have all the answers to the big questions. Your audience will be amazed as well. Mr. Kinsolving ministered as the keynote speaker for the Beaumont Women’s Connection. He was engaging and held the attention of the group. He used an excellent mix of still images and video of children expressing real life stories, which he used to illustrate his main points. He had a presence with his audience without being overly aggressive. He arrived early, stayed comfortably within his allotted tight time schedule, and mingled at the end of the meeting with those who wanted to interact. Mr. Kinsolving made a presentation of the Gospel that was simple, straightforward, clear and yet was non-defensive in style. He closed with prayer and as the custom of the group provides, guests could mark a comment card if they desired further contact and information about their relationship with the Lord. Without reservation based on speaking at our luncheon, I would recommend Mr. Carey Kinsolving. He is a professional and his experience was evident in his presentation to our group. So many of our guests have written or called me to say how moved they were by the profound insights of the children. Your presentation set just the right tone for the evening. The delightful artwork and stories were engaging. In the scheduled 30 minutes, you managed to convey the heart of the Gospel and to bring the message to a powerful closure. Carey, you have a God-given gift to reach people in a fresh and dynamic way. Just wanted to let you know how much we enjoyed your presentation at our Kerrville Women’s Connection Luncheon in December. I have had very positive feedback from ladies in our group. We will have a meeting the end of January in San Antonio with leadership, and I plan to have a discussion there concerning your presentation. I appreciate what you are doing for the Lord’s kingdom, and praise Him for using you and the avenue He has chosen for you. Carey Kinsolving is an experienced public speaker, syndicated newspaper columnist, author, and producer. Many of Kinsolving’s feature articles have appeared in The Washington Post and other major newspapers via news services such as The New York Times News Service, Cox, Hearst and Donrey. His subjects have ranged from profiles of well-known figures such as Elizabeth Dole, Tom Landry, Jimmy Carter and George Gallup Jr. to journey-of-faith stories of everyday Americans. Kinsolving was the first student in the history of the prestigious University of Missouri School of Journalism Washington Reporting Program to be published in The Washington Post with a byline. Kinsolving’s weekly column, Kids Talk About God™, is distributed to newspapers by Creators Syndicate, to websites by Uclick and to individuals by complimentary email subscription at KidsTalkAboutGod.org. The column is unique in that it combines the humor and insights of children with a strong biblical emphasis in a question-and-answer format. The Kids Talk About God™ gift book features children’s quotes from Kinsolving’s column and original children’s art. 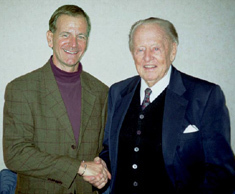 The publisher, J. Countryman, is the nation’s largest inspirational gift book publisher. Under a sublicense, Hallmark reprinted and distributed the book in its Gold Crown stores. In 2003, Kinsolving signed a television contract with ABC affiliate KRGV-TV (the No. 1 rated television station in the Rio Grande Valley, Texas) to produce Kids Talk About God TV spots where children answer questions about God. The spots have been so well-received that Kinsolving signed a contract to produce 36 of them for 2004. The best sound tracks from the TV spots have been formatted into radio spots. Samples of each can be viewed in online versions at www.KidsTalkAboutGod.org. With the help of webmaster Steven Doyle, Kinsolving introduced Kids Talk About God Online Art Gallery in 2004. This unique art gallery features the best children’s art gathered from two contests and two books. All the art is free and printable in 3.5” X 5” and 4” X 6” formats. In 2005, Kinsolving published the Kids Color Me Bible online as part of the KidsTalkAboutGod.org website. Each of 54 Bible stories is illustrated by children’s art and features their answers to Bible-related questions. Also, each story contains a full page for children to draw their own illustrative art and answer Bible-related questions. It has proven to be the most popular item on the website with a regular surge in website traffic on Saturday and early Sunday morning as Sunday School teachers print lessons for church. It’s companion book, the Kids Color Me Bible Gospel of John, is in progress and also available on the website. To gather initial material for the Kids Talk About God™ newspaper column, Kinsolving launched the Children’s Bible Contest. The contest offered a trip around the world as the grand prize. Willard Scott featured the contest on the Today Show. The Mission Explorers™ Video Series, which Kinsolving produced and directed, features the 11-year-old winner of the contest in her global travels. The series has been a No. 1 seller for Nelson Word Direct and has been used in more than 2,000 churches to introduce children to the work of missionaries. Television viewers have also been blessed by the series. David Skeba, vice president and director of programming for Cornerstone Television, wrote: “Thank you for your permission to air Mission Explorers again in 2002. Your program is well produced and holds the attention of its young audience. Adults watching with their kids will also have an interest in Mission Explorers because of the focus of the program – that of missionary activity and calling. As a matter of fact, the focus on missions is a unique quality of this program. More kids’ shows like Mission Explorers would be a welcome addition to our schedule anytime.” In addition to Cornerstone Television, Sky Angel has broadcast Mission Explorers™ nationwide through its satellite network. In producing the global video series, Kinsolving demonstrated skills to work with large and small mission agencies and ministries in various cultural settings. The consortium featured in the series includes Awana Clubs International, Ambassadors for Christ, Every Child Ministries, Far East Broadcasting, Food for the Hungry, Hogar Alalay, Operation Mobilization, Pioneers, SIM International, TEAM, Torchbearers, Trans World Radio and Quiet Corner India. The featured countries include Congo, Swaziland, Zimbabwe, India, Fiji Islands, Philippines and Bolivia. There is also now a sequel to this popular series: Mission Explorers Kenya for Kids! Kinsolving is a popular speaker among adults, students and children. His speeches before Rotary, Lions and Kiwanis Clubs have received standing ovations. His writing workshops have received high marks from Christian students at Yale University, Harvard University, the University of North Carolina and adults in various churches. His Testimony Writing Workshop empowers both the bold and the bashful to write and speak their testimonies. Kinsolving holds master’s degrees from the University of Missouri School of Journalism and Trinity Evangelical Divinity School. A native of McAllen, Texas, he currently lives in the Rio Grande Valley of South Texas with his wife/ministry partner, Lisa.